Today’s Mayan Day Sign, 5 Road, was a key date for the Maya of #Tonina, Chiapas. This photo from the Tonina museum shows a huge 5 Road symbol. Another was left in situ at the base of a set of 260 steps from that lead from the bottom to top of the acropolis at Tonina. Road’s key meaning is destiny, though it sometimes pertains to travel. And on a Road day, doors often open that lead to new paths in life, so pay attention and be ready to jump through that door before it closes. For more about Tonina and authentic Mayan astrology, drop by Mayan Ruins at Tonina Chiapas. 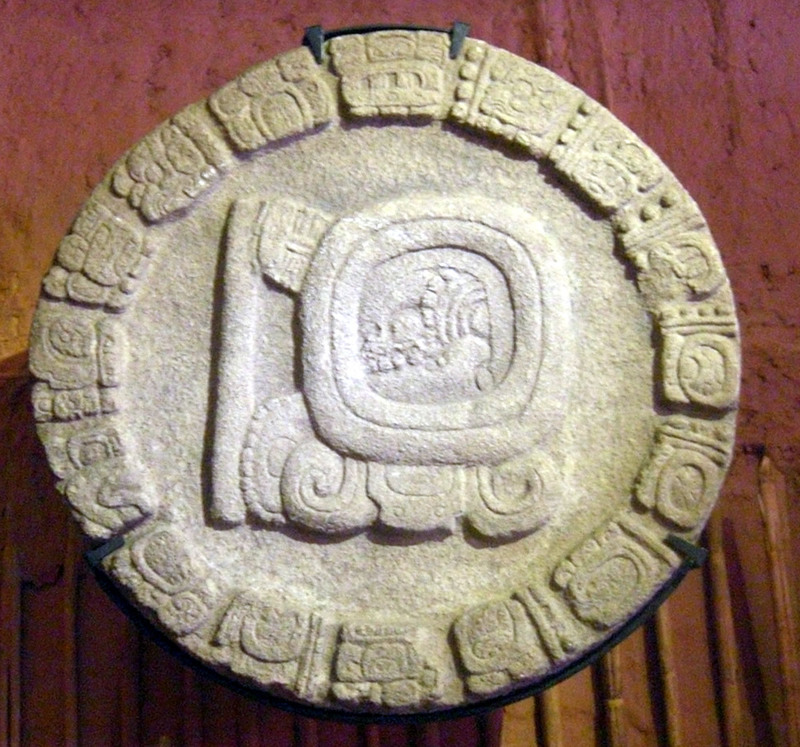 ← New #Trecena Ruler Today: 1 Eagle (#Tzikin in Ki’che Maya, Men in Yucatecan).